Sundust, a band of students from Maine West High School, in partnership with Des Plaines Theatre, will present “Rock Against Cancer”, a benefit concert for the American Brain Tumor Association, in remembrance of the two Des Plaines students who passed away due to brain cancer and the affect this disease has had on our community. Three exciting bands will be featured: Storm the Front, Freudian Slip, and Sundust. A number of other exciting acts will also take place such as poetry readings and breakdancing by Boogie Fresh. All profits will go to the American Brain Tumor Association. 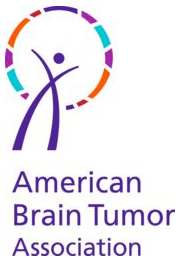 Lexington Park homeowners, come and be part of this chance to help fight brain cancer! This event takes place on Saturday, February 11th, 2012 at 6:30 pm (auditorium doors open at 5:45 pm). $10 at the door on 2/11, $8 at the door with student ID on 2/11. For more information on this event, please visit the Des Plaines Theatre here!